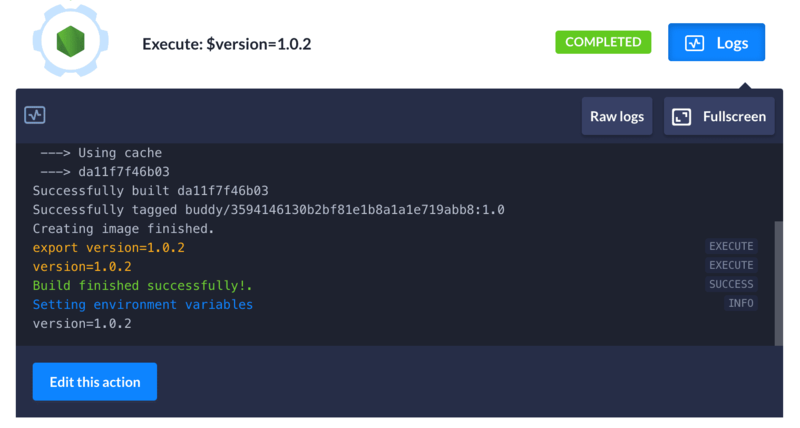 With this week’s release, we deliver a couple of useful updates to Environment Variables that will help you faster debug execution problems and configure pipelines. Until now, it wasn’t possible to define pipeline variables in YAML. Even though the whole pipeline configuration was stored in buddy.yml, after parsing the YAML the user had to set the requested variables manually, which was taking a lot of time and could result in mistakes and typos in either names or values. Check out our YAML documentation for more details on configuration as code. From now on values of settable variables are produced in logs in order to help users debug execution problems.